LONG ISLAND, NY (September 6, 2017) – BIGFOOT 4X4, Inc. and Kollectico have joined forces to design and create a line of Limited Edition Collectible bobbleheads inspired by BIGFOOT #1, The Original Monster Truck®. 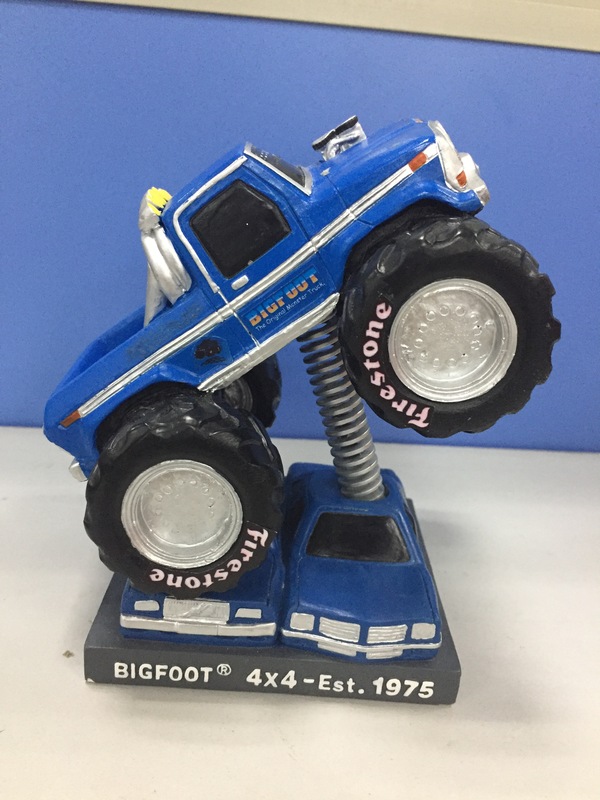 The officially licensed BIGFOOT® bobblehead collection launches with the first version of The Original Monster Truck. The BIGFOOT bobbleheads are 100% handmade, hand-painted and packaged in full color Collector boxes. “We are so excited about the bobblehead of BIGFOOT #1. The Original Monster Truck is such an iconic piece of history that we have to require exceptional quality. Kollectico has been great to work with and their attention to detail is extraordinary. We are looking forward to many more projects in the years to come,” said Ann C. Trent, President of BIGFOOT 4X4, Inc.